Gallery walls, decorative mirrors, and wallpaper have collectively worked together to add visual intrigue to even the plainest of walls, but now our focus is shifting downward. 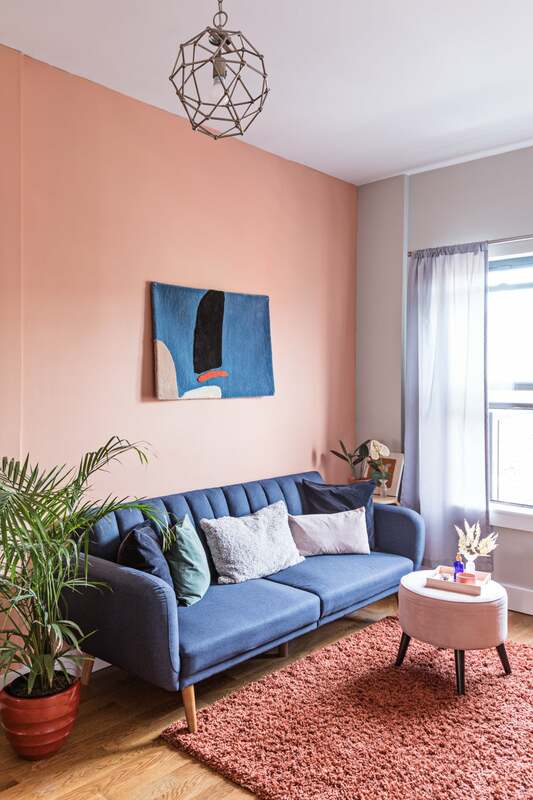 The rise of abstract, geometrically inspired rugs has been especially notable on Instagram, where decor, although relegated to the floor, has taken center stage. Now we’re embracing the trend full-on as a way to add color, pattern, and a bit of whimsy to any space. Designers like Cold Picnic, Aelfie, and Pieces pair vivid color schemes with dynamic shapes to craft rugs that are so bold that you won’t even feel a need to deck out your walls. Even if you’re more minimalist than maximalist, there’s a fresh, contemporary rug out there that can reinvigorate your space—just find the color palette and pattern that best suits your taste. Shop our edit of the best abstract rugs on the market right now and give your floor the facelift it deserves. Indie brand Cold Picnic has rightfully earned its reputation as a creator of bonafide It rugs. Inspired by natural landscapes, the subtle geometric pattern is deceptively versatile. This sporty option by Pieces offers a more dramatic touch. Just be sure to let it breathe: Don’t overcrowd it with furniture so it can stand out on its own—a lucite coffee table is a great option for both form and function. With a largely neutral palette, this rug is an understated alternative to a more traditional route. Pops of goldenrod make it feel especially cheerful. A pop of citron combined with a few pastels energizes this simple option. Looking for something a bit cheekier? A chubby zebra will give any room the perfect dose of whimsy. Astrology and history lovers alike can agree on one thing: This piece, inspired by celestial maps of the 15th century, is a serious standout. With just three colors and a dynamic, angular shape, this rug makes a statement without totally distracting from the rest of your decor. Brimming with right angles and saturated hues, this hyper-modern rug by KJP is a standout piece. Maximalists, this one is for you—don’t be afraid to pair it with a mix of even more patterns and colors. Handmade in Portugal, this tufted rug is inspired by the natural landscapes of Vietnam. The soothing, muted colors and patterns of this one make for a relaxing addition to a bedroom. This French brand appeals to hypebeasts and design lovers alike—plus, its dramatic color scheme instantly transforms even the simplest of rooms. Made by artisans in Kashmir, India, this sparse geometric rug is great for those who seek a playful accent. If you want to ease into the trend, opt for a smaller, accent rug size. Drawing inspiration from Tibetan tiger rugs, this collaboration between Aelfie and Gentle Thrills is 100 percent delightful. Plus, its cobalt base offers an on-trend pop of color.